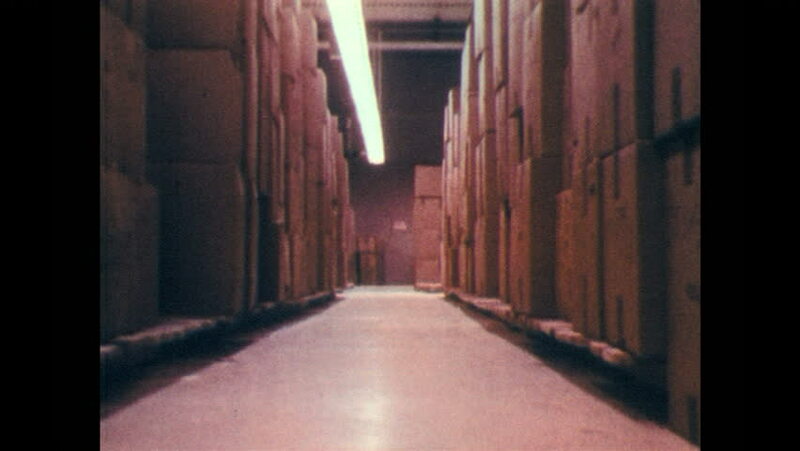 1970s: Aisle lined with boxes on palettes. Men collect jackets near work bench. Hand removes electric plugs from outlet. hd00:12Walking inside a long dark hallway of an old apartment building.